One afternoon, a few days after the CNY, and feeling hungry, I rummaged through my refrigerator for something to cook for lunch. I knew it was about time for me to stock up the fridge as there wasn't much in terms of fresh produce left. Anyway, the vendors at the wet market were still enjoying their Chinese New Year break, and they had yet to resume business! I found three packets of inoki mushrooms and a few stalks of spring onions. There wasn't any meat or prawns left at all. Further down the shelves I found some anchovies, scallops and dried shrimps. Well, I think I'll fry some vermicelli with whatever I have in hand. I have learnt a new trick from frying soy sauce egg noodles using very little water. And I shall apply that method to fry vermicelli today. 1. Heat oil in wok. Add in chopped garlic and saute until light brown. 2. Add in inoki mushrooms and chilli padi. Stir-fry over high heat until inoki mushrooms soften. 3. Add in vermicelli. 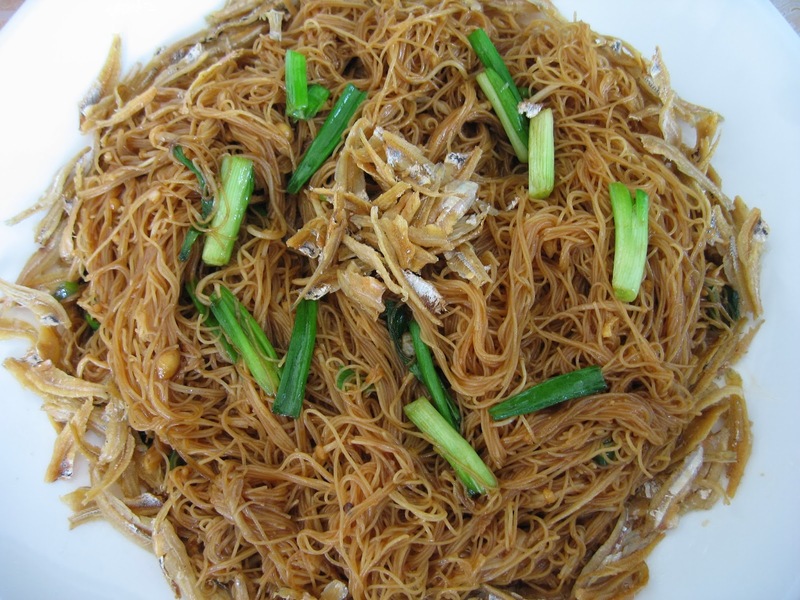 Use a pair of chopsticks to loosen the vermicelli and add in the sauce ingredients gradually. Use the chopsticks to mix quickly and evenly. 4. Continue frying and mixing until the vermicelli is dry and almost sticking to the wok. 5. Dish up. 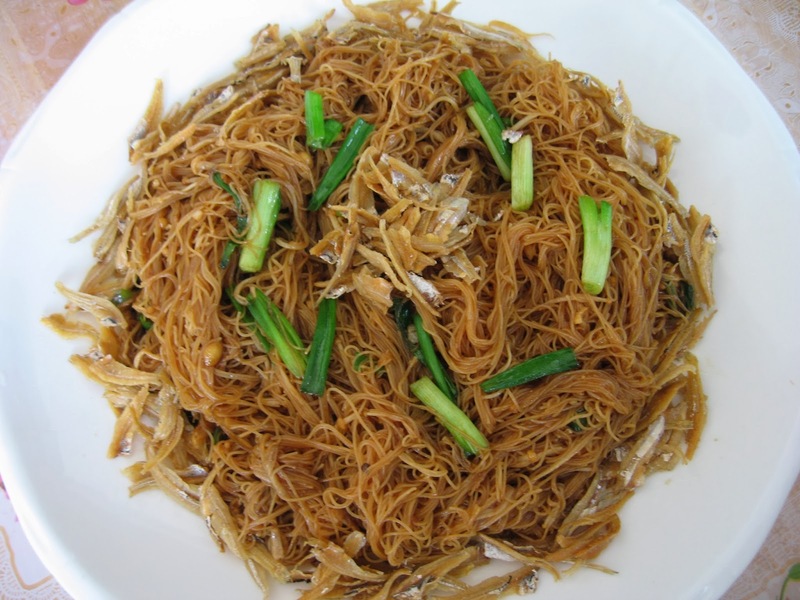 Sprinkle the deep-fried anchovies on top or around the fried vermicelli. simple and satisfying! My kinda meal, and like Ivy, chili padi and see yau with a squeeze of lime for me! For whatever reason, simple food is always popular. Even the viewership of this recipe skyrocketed.